Deep rumblings are now being heard of a few young people whom God is raising up and have answered His calling to bring in the harvest of soul's before the second coming of Jesus Christ. God is raising up a new and great army of spiritual warriors who will lead the way in this upcoming movement. In Joel 2:28, God is speaking about the end times and pouring out his spirit on us. "And afterward I will pour out My Spirit upon all flesh; and your sons and daughters shall prophesy, your old men shall dream dreams, your young men shall see visions". The old time prophecy will come to pass with our children (son's and daughter's) leading the way! We may not see it now but just as the sky looked clear with no signs of rain, as Elijah began to pray God sent a tiny cloud(the size of a fist)which appeared in the sky resulting in a powerful rainstorm as Elijah was calling down the rain. The tiny cloud of this young army God is raising up has already appeared in places such as South America, United States, United Kingdom and Canada. Soon it will become a rainstorm as the army disperses. Many teens and children will begin to wake up from their deep slumber and unite. It is up to us as adults to accept, encourage and guide them during this time as well as raising up our children to be obedient to the Lord. We must not hold them back, hinder them or forbid them from taking up their place in this end time army for God. Please understand what I mean by army. I do not mean arming our kids with automatic weapons and battle gear. God will be raising up these children and young people to unite like an army marching against the oppression that currently plagues our world, speaking God's word out of their mouths like a double edged sword and putting on their breastplates of righteousness and helmets of salvation. Why would God choose children to carry out this crucial step? I believe it is because children do not have 'agendas' or a preconceived set of notions about how God should or will act. God needs those who are fully obedient, pure of heart and without worry or fear of how they will look to others. Many children exhibit those traits and will gladly and humbly fulfill God's calling on their lives. This great harvest will recognize no boundaries, barriers, or preferences. And children will be the agent to carry out this revival! 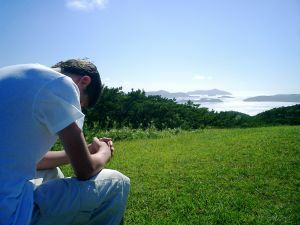 God is looking for someone after His own heart to fill the role which focuses on the lowly, poor, outcast and forgotten. For more information on this movement and what you can do to prepare your children for it, a great resource is the International House of Prayer(IHOP)in Kansas City, Missouri. They hold training and informational sessions for all age groups. Please contact them with questions, as I am in no way affiliated with them.